Celebrate life with family and friends! 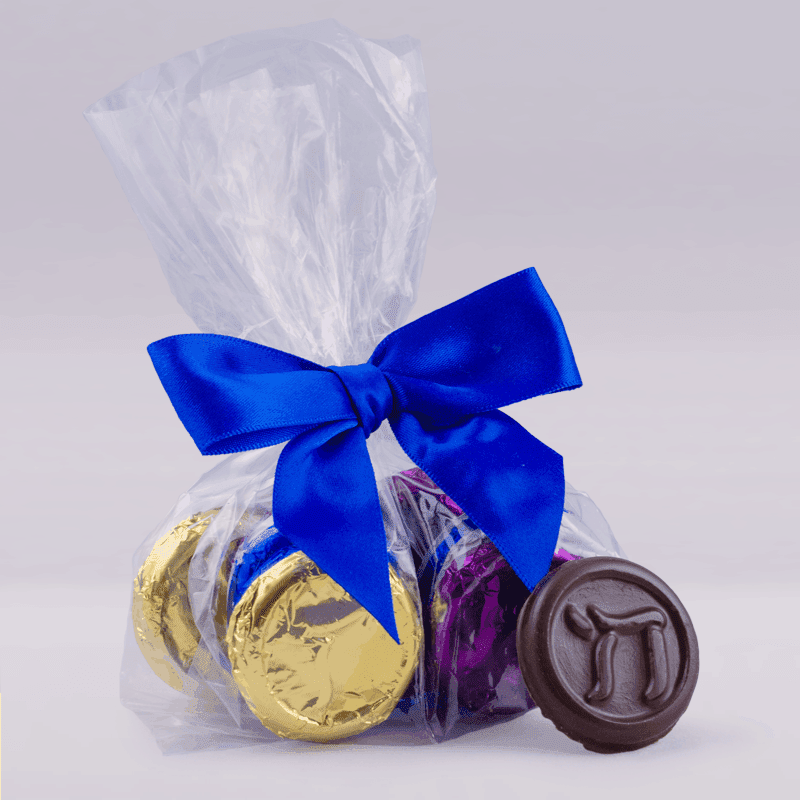 This clear bag contains 18 foil-wrapped chocolates, each depicting the chai symbol. Foil colors include blue, white, gold and purple. Net Weight 3.5 oz. 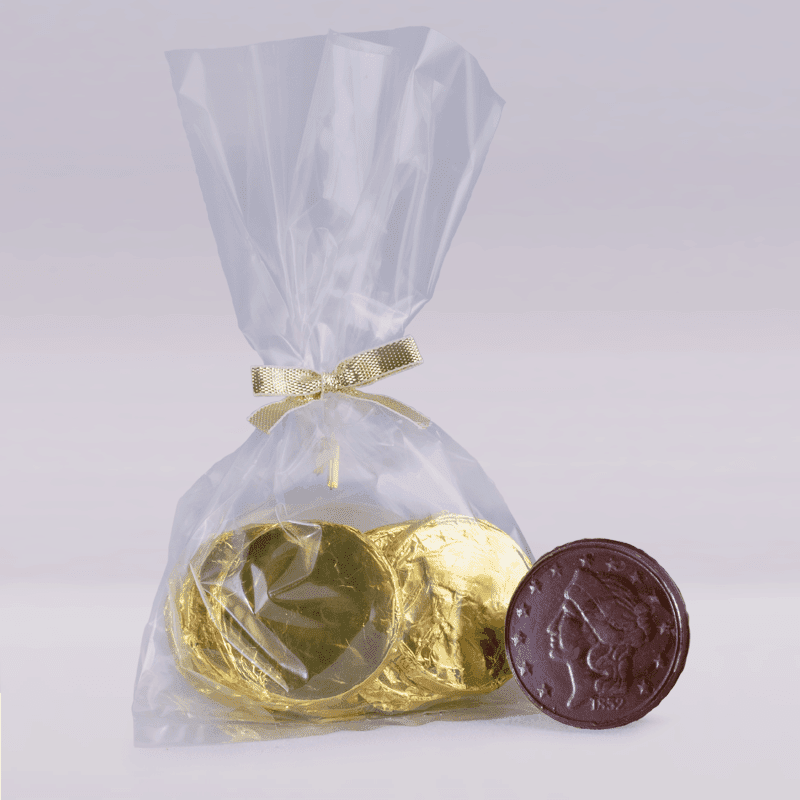 There are 7 gold foil wrapped coins in this clear bag. These coins are great for party favors. Net Weight 1.5 oz. 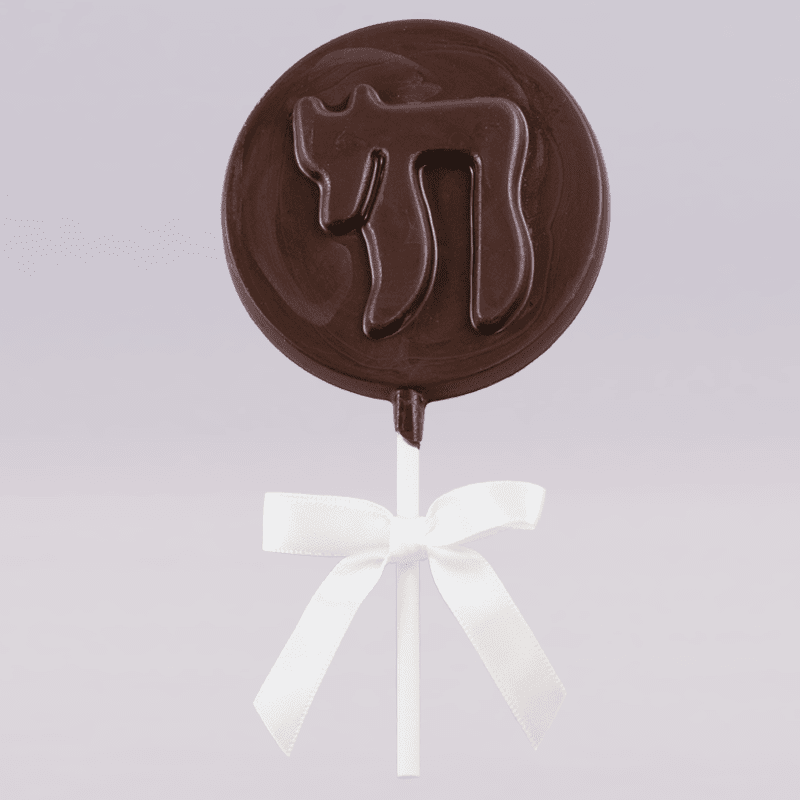 Amanda’s Own great-tasting chocolate is ready to help you celebrate with our super fun lollypops. Net weight 1.50 oz. We are excited to partner with Red Sneakers for Oakley. All net proceeds from the Red Sneakers for Oakley Bag will be donated to this wonderful organization. 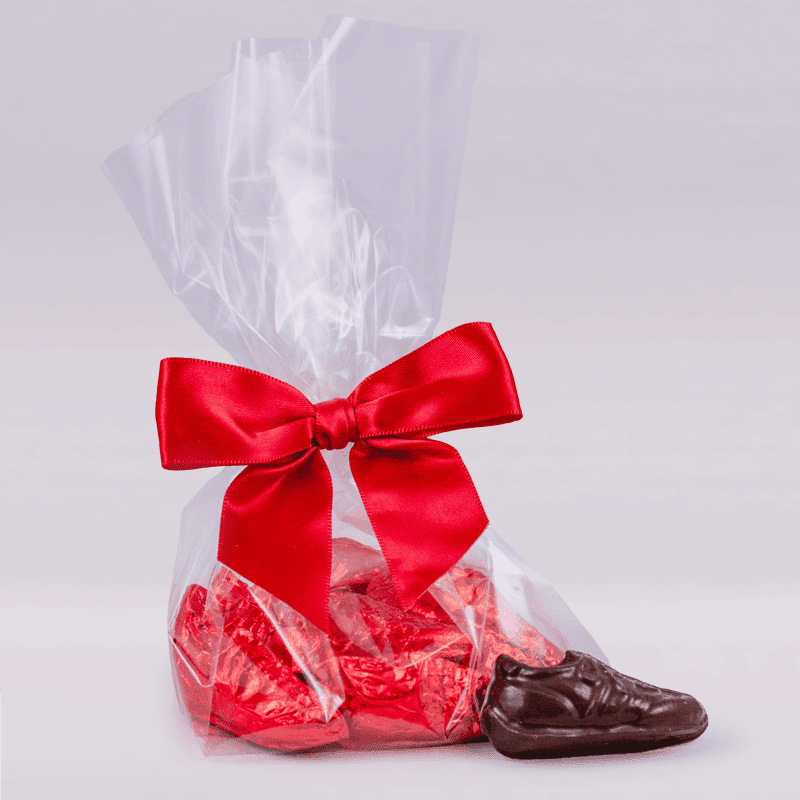 10 red foil wrapped sneaker shaped chocolates are in this simple yet powerful bag. It’s tied with a red bow, all to symbolize the Red Sneakers for Oakley Organization which is raising awareness about the dangers of food allergies. All net proceeds will go directly to Red Sneakers for Oakley. Net Weight 3.0 oz. We are excited to partner with Allison Rose Foundation. All net proceeds from the Allison Rose Flower Bag will be donated to this wonderful foundation. 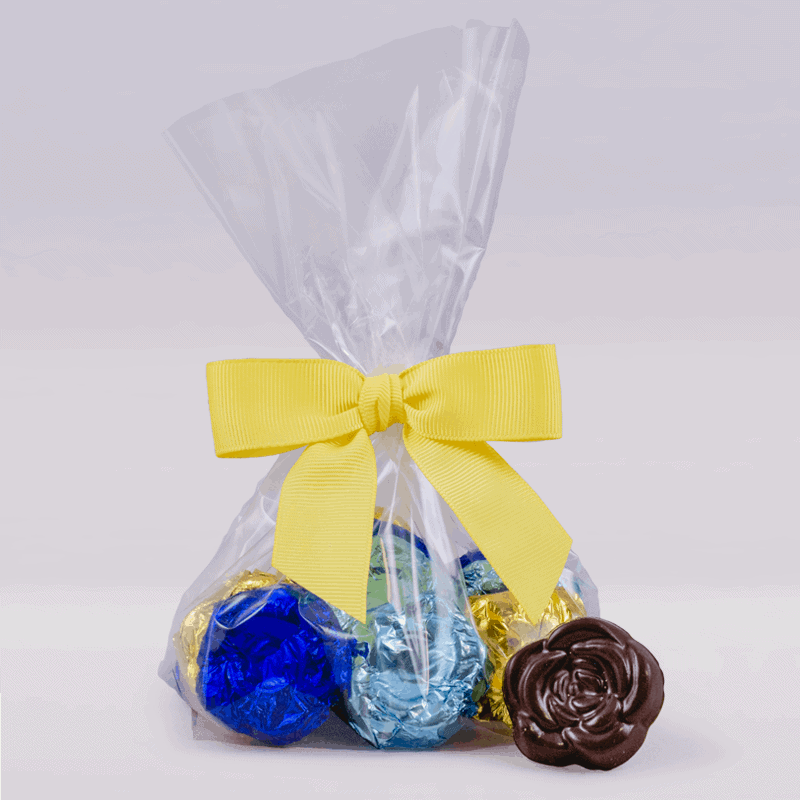 12 foil wrapped rose shaped chocolates are in this simple yet powerful bag. It’s tied with a yellow bow, all to symbolize the Allison Rose Foundation which is dedicated to changing the lives of food allergy families though education and awareness, research and advocacy. All net proceeds will go directly to the Allison Rose Foundation. You can read about this amazing foundation at www.allisonrosefoundation.org Net Weight 3.0 oz. 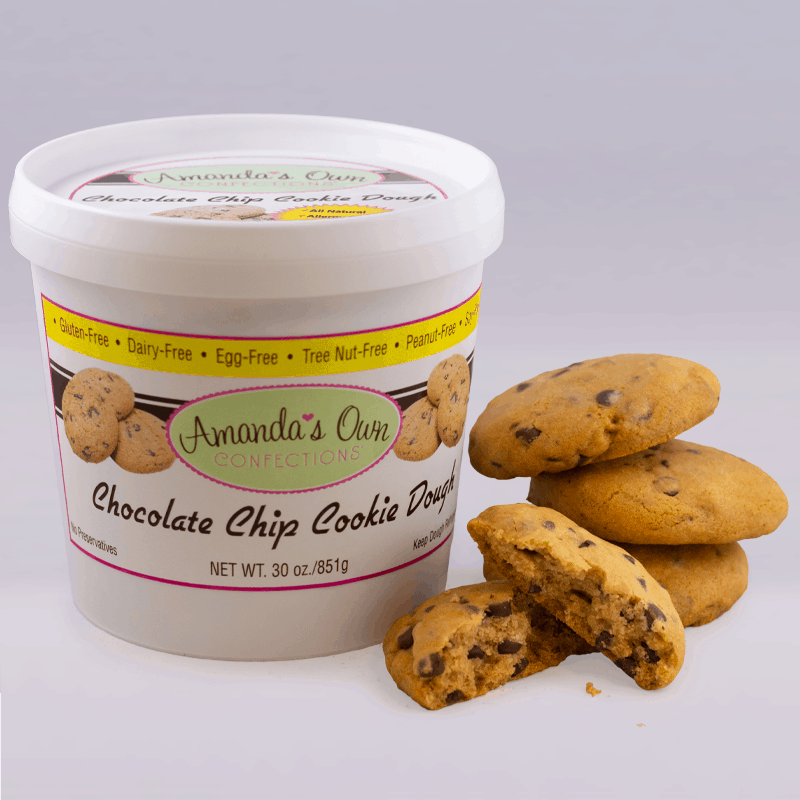 Our allergy friendly chocolate chip cookie dough will make soft and chewy cookies with lots of delicious chocolate chips in every bite! From the refrigerator to the oven, what could be easier! 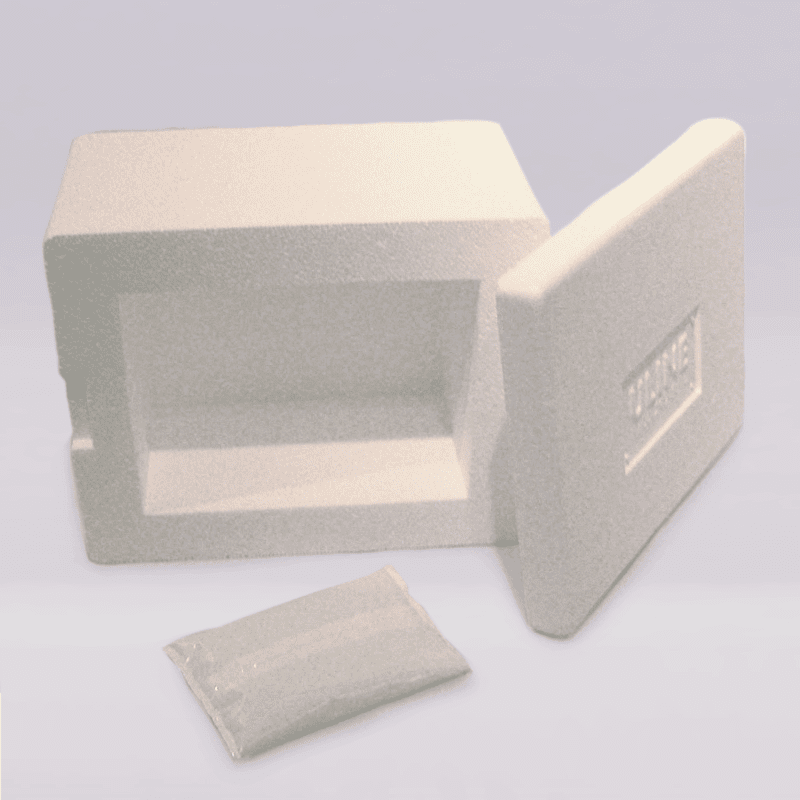 Our cookie doughs is produced in our very own dedicated facility so there is NO chance for any cross contamination. One bite of our chocolate chip cookies and you’ll know you’ve found a delicious and safe treat for the entire family! 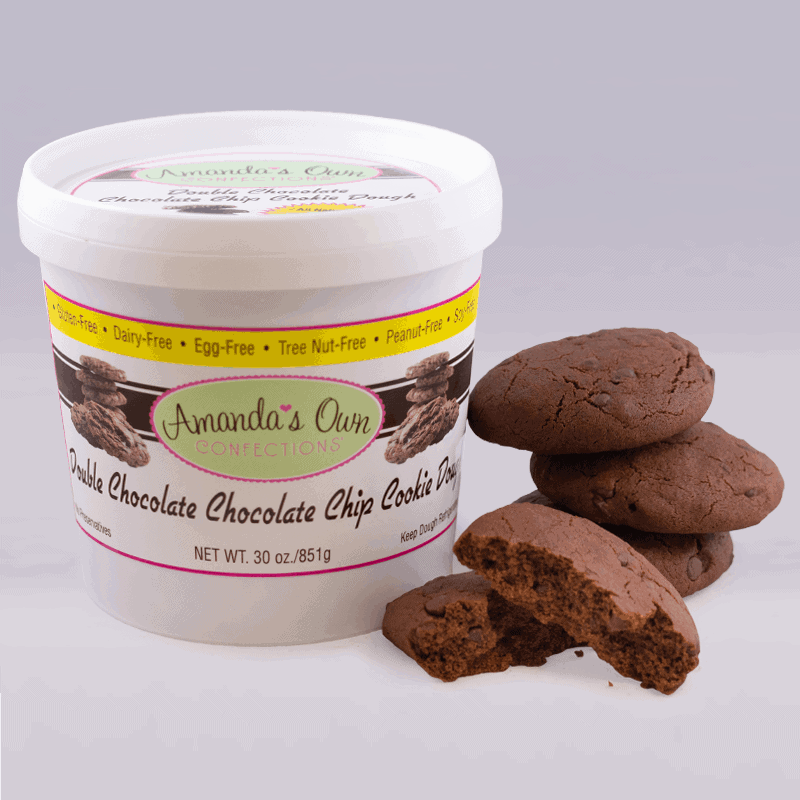 You can even eat our chocolate chip cookie dough right from the container, it’s safe and delicious! One container makes about 2 dozen cookies. Net Weight 30 oz. We have combined our rich and creamy chocolate with sweet and smooth sunflower seed spread to create a fantastic tasting sunflower cup that we know you and your family will love! The bottom layer of the cup is a combination of our chocolate and sunflower seed spread. The top layer is our chocolate and nestled in the center of the cup is pure sunflower seed spread. What a yummy combination! 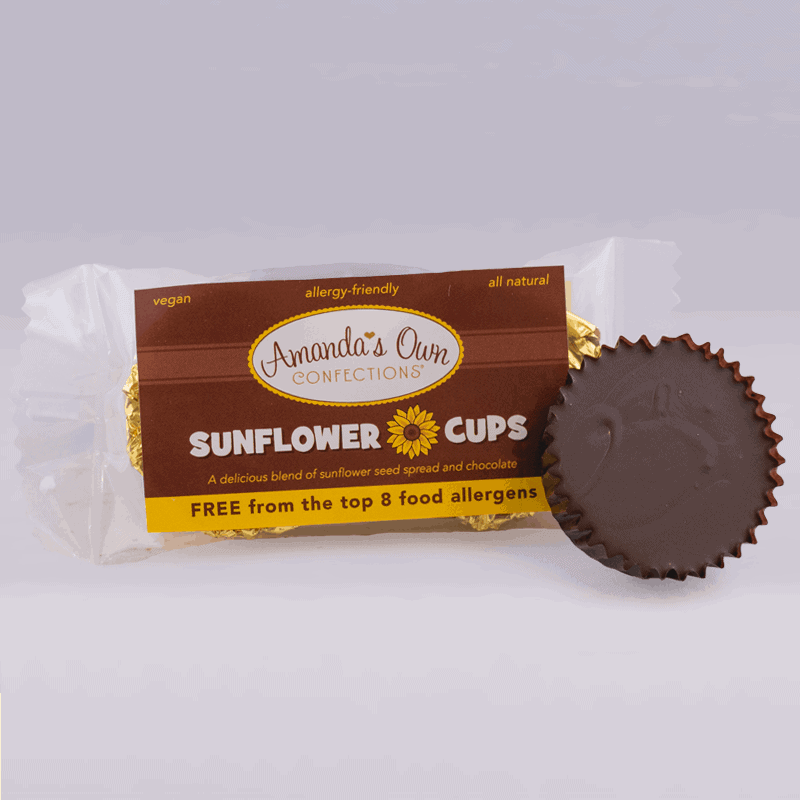 There are 2 sunflower cups per package. These cups are made in our facility on their own dedicated equipment in their own room so there is no cross contamination with any of our other products. Net Weight 2 oz. Organic cane sugar, unsweetened chocolate & cocoa butter (NOT dairy-it is the fat component of the cocoa bean), roasted sunflower seed, sugar, mono-and-diglycerides and salt. This one is coming soon so be on the look out! Net Weight 9 oz. 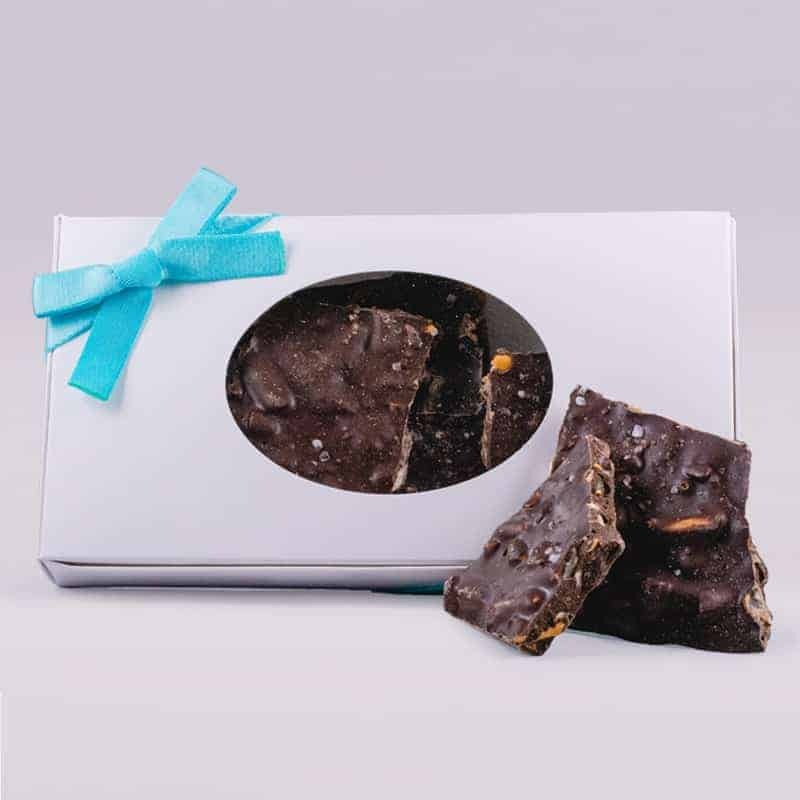 This is the perfect combination of salty and crunchy pretzels with our sweet chocolate. You are going to LOVE this delicious treat! Net Weight 9 oz. Organic cane sugar, unsweetened chocolate, cocoa butter (non dairy), corn starch, potato starch, tapioca starch, palm oil, salt, dextrose, cellulose gum, sunflower lecithin, baking powder (sodium acid pyrophosphate, sodium bicarbonate, corn starch, monocalcium phosphate), yeast, citric acid. We’ve combined sweet California raisins with our delicious chocolate to make the perfect clusters. You won’t be able to eat just one! Net Weight 9 oz. This is a mix of our creamy, rich chocolate and crispy brown rice pieces. You will love the sweet and crunchy combination. Net Weight 9 oz. Organic cane sugar, unsweetened chocolate & cocoa butter (NOT dairy-it is the fat component of the cocoa bean), organic brown rice, organic brown rice syrup, sea salt. This product is dairy-free, nut-free, peanut-free, gluten-free, wheat-free, soy-free, egg-free, sesame-free, mustard-free, shellfish-free, crustacean-free, but NOT vegan. 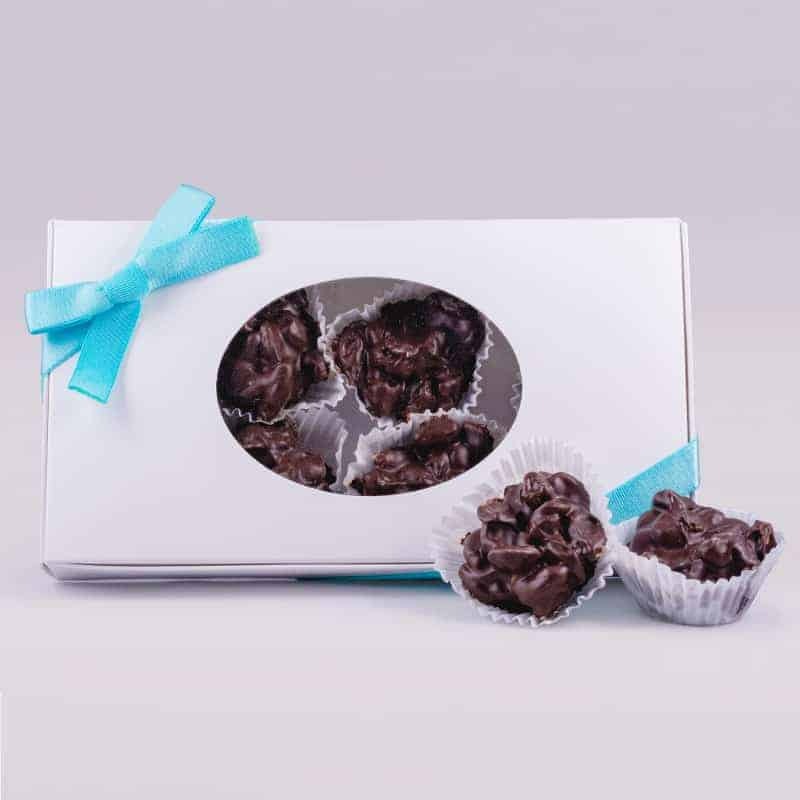 We have created a wonderful mix of our creamy, rich chocolate and mini marshmallows in these little clusters. There are 8 clusters in each box. Net Weight 6 oz. Evaporated cane juice, chocolate liquor(non-alcoholic), cocoa butter(NOT dairy it is the fat component of the cocoa bean), corn syrup, cornstarch, dextrose, gelatin, natural and artificial flavors, water, tetrasodium pyrophosphate. Is your order a gift? 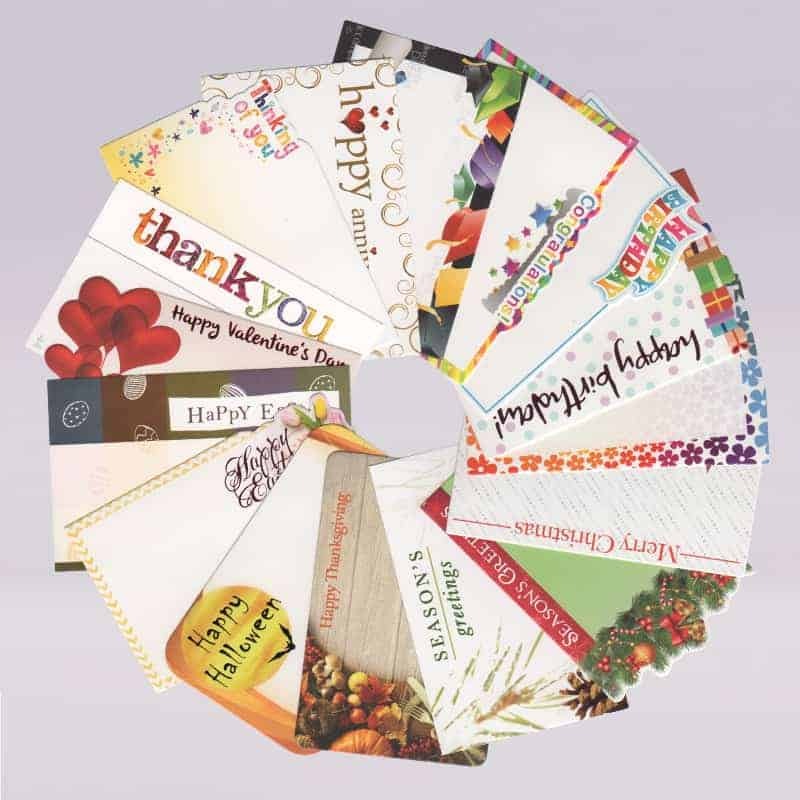 Send a cute gift tag with a custom message to be included with your order. New styles coming soon! Like all chocolates, our chocolate melts easily during warm weather shipping. If your daytime temperature is 70 degrees or greater, you must add this item to your order. We are not responsible for your chocolate melting if a shipping container was not included in your order.